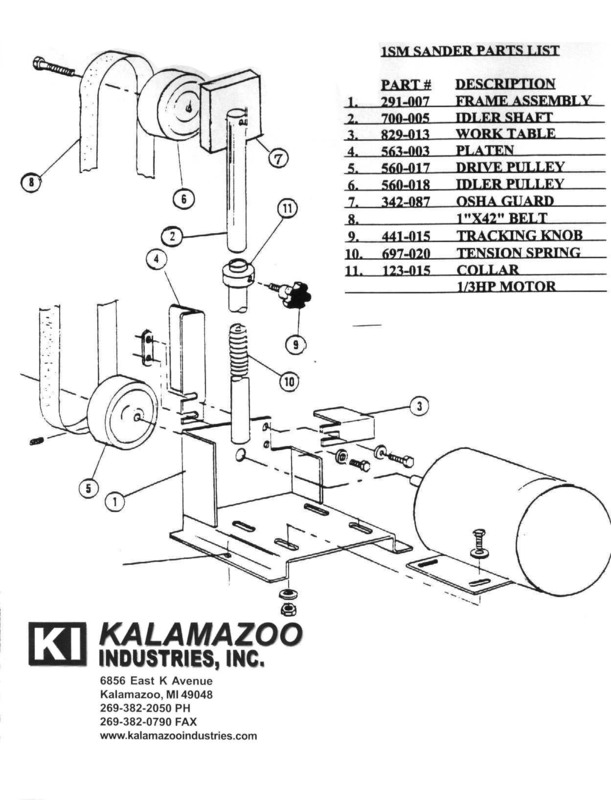 Subscribe to the Kalamazoo Industries youtube channel and click the notification bell to be alerted when we upload new videos. This sander is great for general de-burring, lite metal removal, sanding wood, and clean up work after you finish running your parts in your CNC lathe/mill. 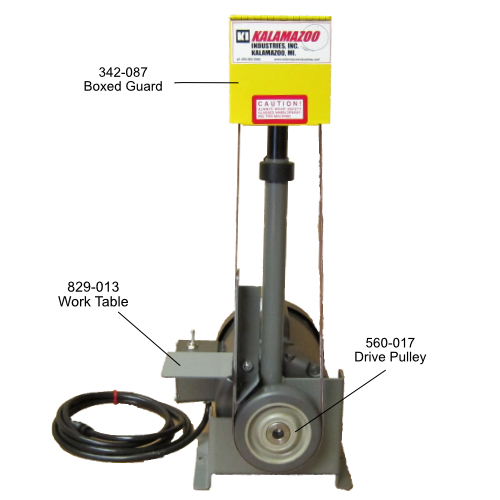 This 1 x 42 belt sander can accommodate all sanding and polishing belts so you can reach your desired outcomes. This unit can run slack belt as well so it can meet most contours such as oval and circle. 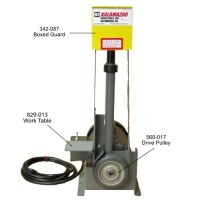 1SM 1 x 42 abrasive belt sander comes standard with a 1/3rd hp motor. That has a SFPM of 1800. 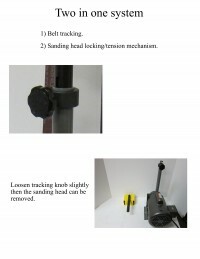 Which makes is a handy tool in a fabrication shops and or wood working shops. 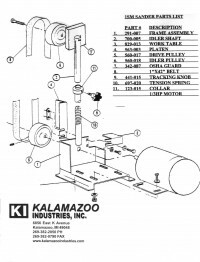 All parts that Kalamazoo Industries manufacture’s for this 1sm 1″ abrasive belt sander is replaceable no matter the age of this unit and all parts are kept in stock for quick replacement. 1/3 HP 1Ph (115v) motor. 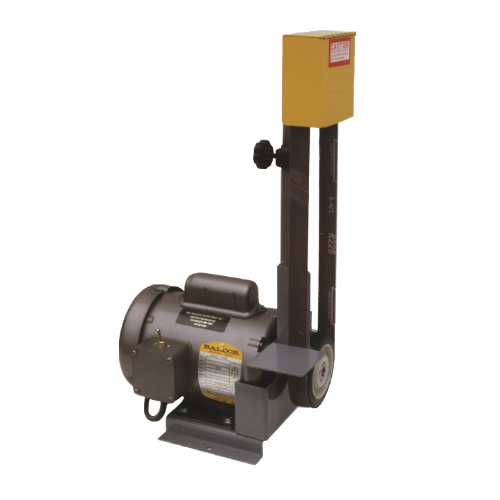 Tilt table – vertical sander only. Removable platen and adjustable work table. Amp draw: 115V 5.4 amps, 208V 2.9 amps and 230 2.7 amps. Optional: DCV-4 vacuum base, 1SMV. 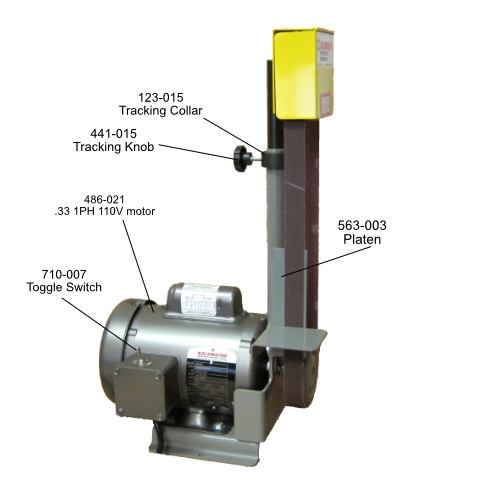 Model: 1SMS – 1sm with full boxed OSHA guard. 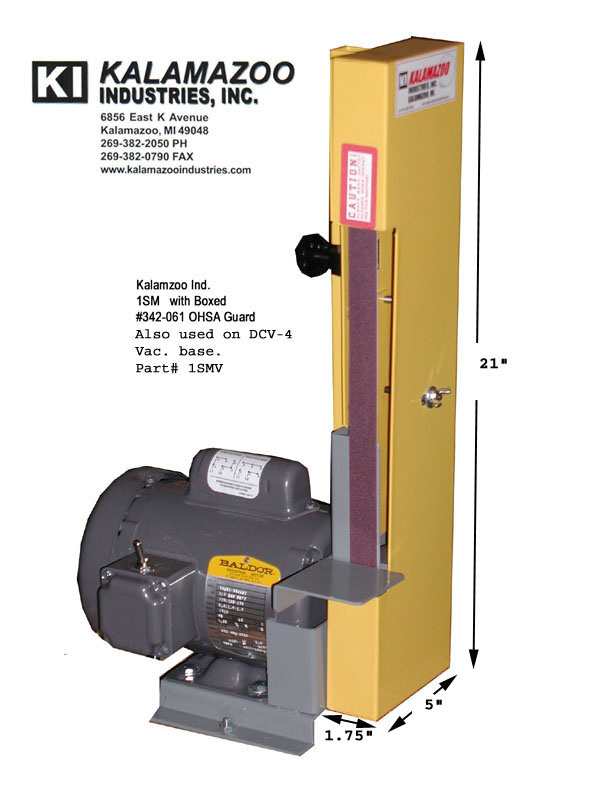 Model: 1SMV- As above with enclosed belt guard and vacuum base. Optional: 1/3Hp 1Ph 110 or 220v (please specify voltage), 1/3HP 1PH, 50HZ, 1425 RPM. 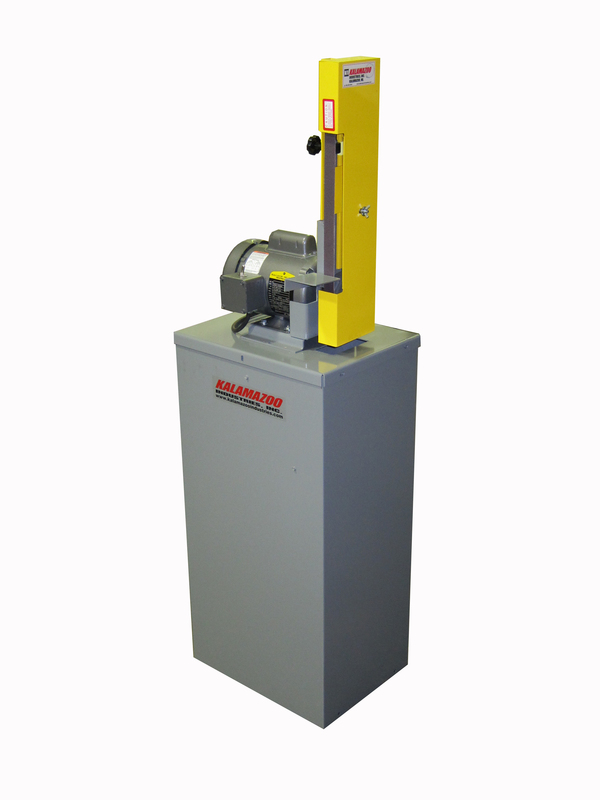 1SM 1 x 42 inch Kalamazoo Industries Industrial belt sander has applications in the following industries: Energy, Oil/Natural Gas, Petro/Chemical, Knife Manufacturing, Automotive, Metal Foundries, wood working shops, as well as many other Manufacturing and Fabrication environments that require deburring. 1SM is about the best everything-sharpening tool you’ll ever find! Use this weekly on my camping knives and axes. Works excellent after years of using and very versatile! !